Just a quick Challenge post this time. The Creative Cowgirls Challenge is 'Getting Jiggy' it's all about the dance. 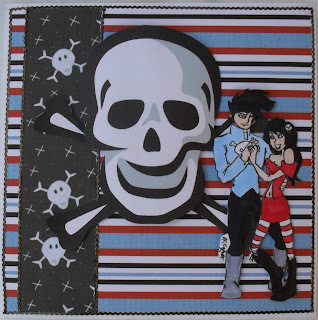 Our wonderful sponsor, Tellen's Place Designs gave us some images to use and I got the fantastic Skull boy n girl. I coloured the great image using Copics and Promarkers, the backing papers were from Creative Cottage, Little Monkey's Pirate Adventure and the Skull was a clipart from MS Publisher which was cut out and layered. I edged all the mats with peel offs coloured with black Promarker. 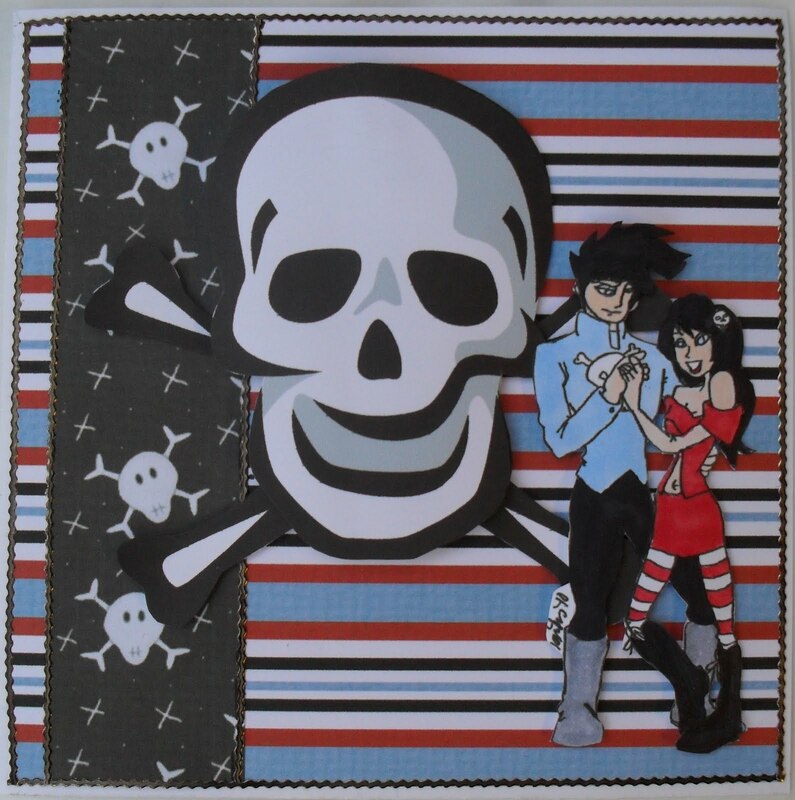 Hop over to the Challenge and check out the other posse members fantastic creations. Very cool manga looking card - you did a good job w/the colors, too. Nicely done. Thanks for sharing with us at Stamps R Us this week. What a great card Poppet, love the theme! That is absolutely gorgeous - loving the designs on the card! Hope you're having a great day! Fab. card, nice colours! Love how you got the stripes into the card (leggings and background)! Super! Thanks for joining the challenge at Lexi's Creations this week, hope to see next time. OMG Poppet! Love this! I have such a hard time with non frilly cards! HAHAH! Fab job! That is cool, thanks for sharing!